The United States of America is one of the greatest countries in the world, there is no doubt about it. We are by no means perfect, but there are a lot of good things in our country. We are a cultural giant, even though we are younger than in many other countries. So many amazing actors, singers, and writers have been born here that is it virtually impossible to name all of them. We are amazing in sports on a worldwide scale. Our land is rich and beautiful as you can find practically every type of landscape imaginable from desserts, to wast grasslands, to the highest of peaks. One of the most interesting things about our country is our great cities. From East to West, you can find anything and anyone in them. So, what are the best U.S. cities to visit this Spring? This is not an easy question for answering, as there are so many of them. 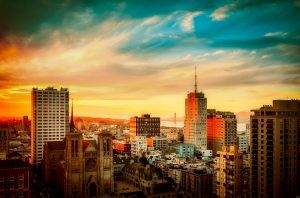 Living in a city on the East Coast like in New York, for instance, means that moving to a city on the West Coast like Los Angeles, for example, means having to hire one of the many long distance moving companies. Furthermore, they all have their own specific characteristics that make them unique and attractive. 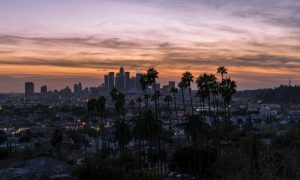 Nonetheless, we have compiled for you a list of the best U.S. cities, in our opinion to visit this Spring, that would also be suitable locations for moving to. In 2018, this city has celebrated its 300th birthday, and those were nothing, if not three very interesting centuries. Since it was founded by Jean-Baptiste Le Moyne de Bienville as a French-governed town (it got its name from the city of Orleans in France), it has gone through a lot. The United States’ history, though not long, was very turbulent. The control over the city exchanged hands several times between the Spanish and French before it became part of the United States. The history of New Orleans is really important for the locals and is a huge part of the city’s identity. This is something that you should be aware of if you are going to move here. As for moving here, it would be best to hire long distance movers New Orleans as they can tell you something more about the city. Today, New Orleans is a special place even by the United States’ standards. A magnificent blend of history and modern times, New Orleans truly has a special aura. 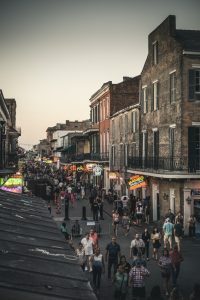 The famous French Quarter is the heart and soul of the city, but there is much more to it. Last summer, a thematic museum of the history of cocktails called the Sazerac House was opened. There are a lot of new restaurants that give the city a more modern shade of entertainment. If you like the new better, you can go to the newcomer Justine. If you are more a fan of the classics, then the Warbucks is the place for you. This city also has an average of a festival every three days. New Orleans truly is one of the best U.S. cities to visit this Spring. Whether living or just visiting, you’re going to have the time of your life. The City of Angels is one of the most iconic cities in the world. The first thing people think about is the Hollywood sign and everything connected to it like the greatest movie industry in the world. Celebrities and their villas in the Beverly Hills, and the famous Walk of Fame are all instant associations when it comes to Los Angeles. However, this is only a part of the city’s charm, as is has so much more to offer. One of the best things about L.A. is the fact that it is so close to various types of landscapes. Quite literally, it has beaches, deserts, and mountains in its grasp. So, whenever you feel like you can’t take any more of the city’s rumble, you can always get away from that rather quickly. For instance, this city is one of the most thriving cities in the US when it comes to technological advancement. Practically every day a new startup company sprouts into existence. Moving here would be a very smart idea for several reasons. Firstly, the economy is doing great at the moment, mostly thanks to tourism. Add this to the fact that there is a really good market for entrepreneurship and you will quickly realize that Los Angeles has many sides. The city’s authorities are doing a lot of great things for the educational and health systems, which led to them being among the best in the country. San Antonio is one of the greatest cities in Texas, and as such is one of the best places to see and visit there. Similar to New Orleans, San Antonio’s history is really important for people here. Seeing its downtown is the first thing that you should do if you are a history nerd. The famous fortress of Alamo is one of the symbol’s of San Antonio and as such is a really popular tourist location. Among other things that you should definitely visit are the San Antonio Missions National Historic Park, as well as the San Fernando Cathedral. Still, as we said, you don’t have to be in love with history in order to enjoy the city. There are numerous theme parks, exquisite museums and also the wonderful River Walk. One of the most important questions when deciding whether to move somewhere or not is the safety of the target city. Well, rest assured, San Antonio is one of the safest places in the United States in relation to other cities of its size. Thus, moving to this Texan city is actually a pretty good idea. The same rules apply here as in any other city in the world. Follow your common sense and you should be alright. Simply avoid suspicious parts of the city, especially during the night. Also, one of the things that make San Antonio one of the best U.S. cities to visit this Spring is how exotic it feels. The closeness to the southern border and its general geographic position are the reason for this. Spanish is really important here, and the cuisine is heavily influenced by the Spanish tradition.